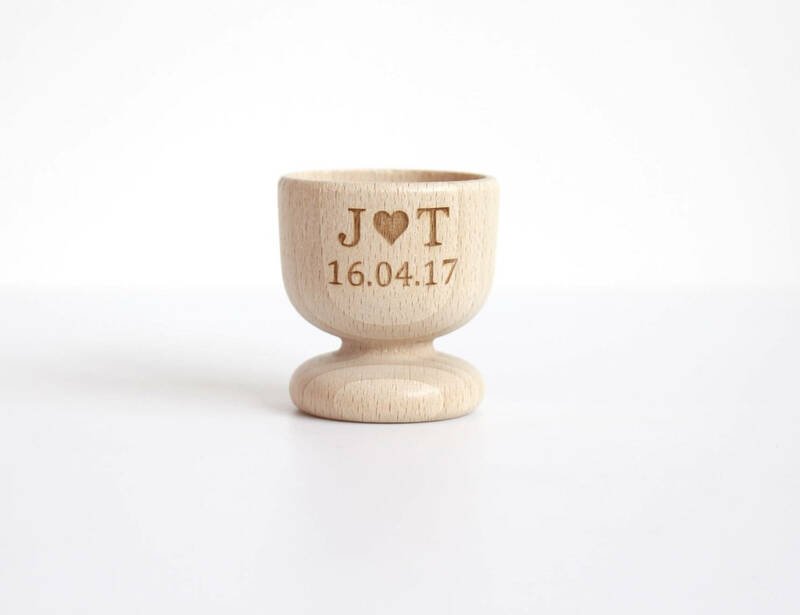 Our wooden egg cup favours are the perfect keepsake gift for your guests to take home and remember your wedding day forever. 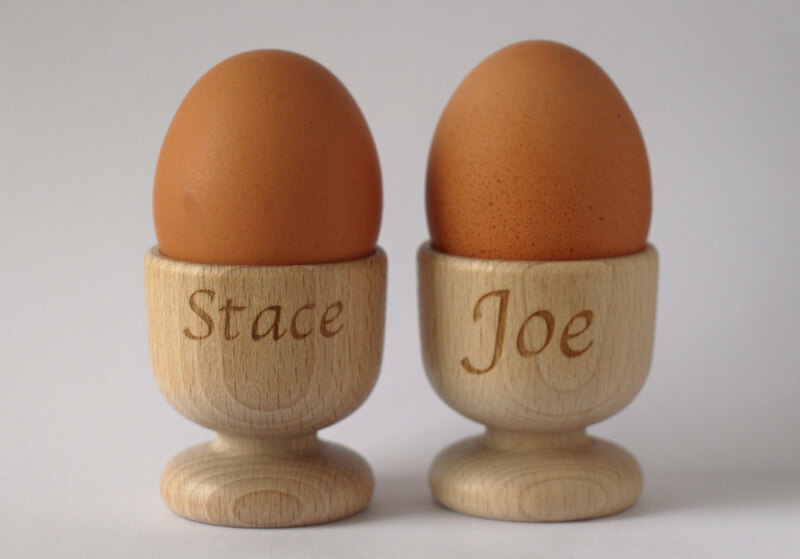 Your egg cups will be personalised with your initials and wedding date. 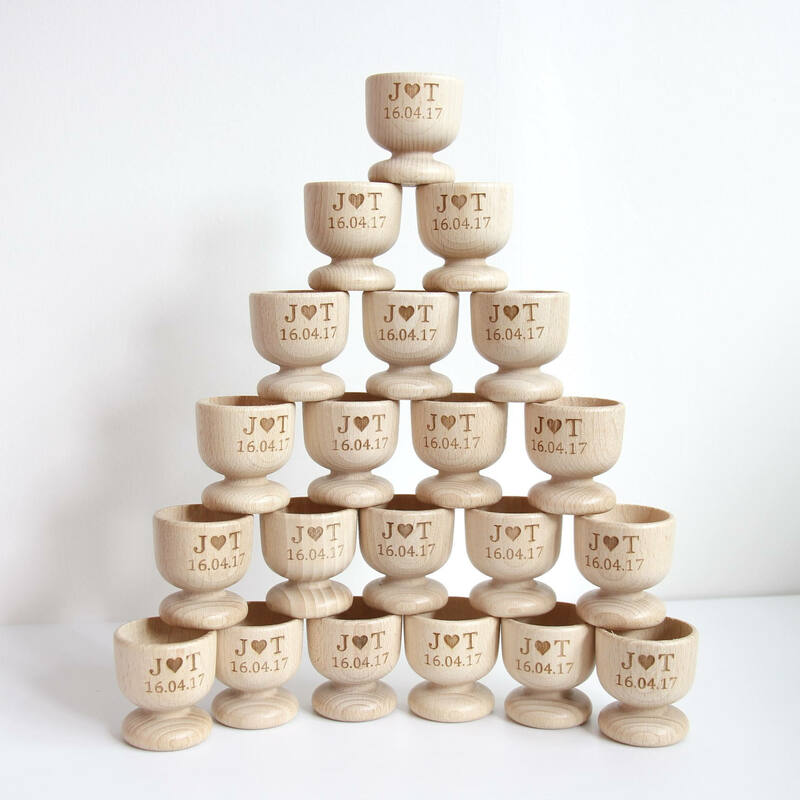 If you require a specific number of egg cups please message us so that we can create a custom order listing for you to buy. 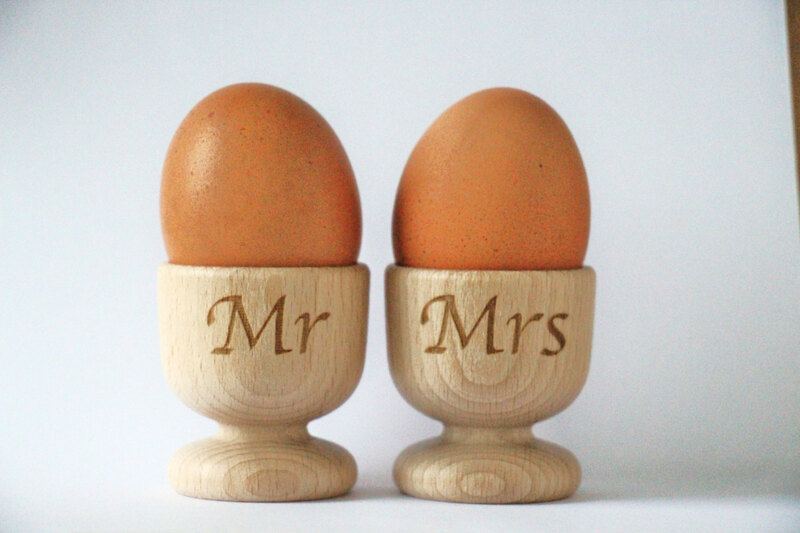 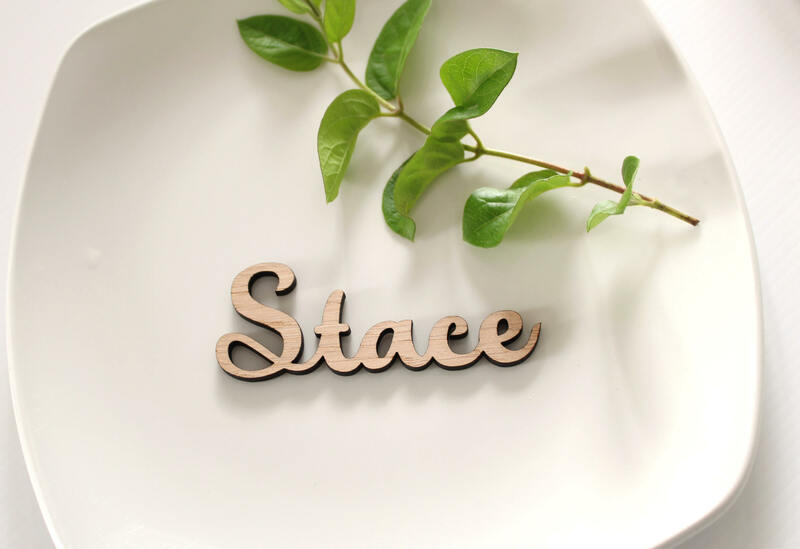 Please let us know your initials and wedding date that your would like engraved on each egg cup in the notes to seller section at the checkout. 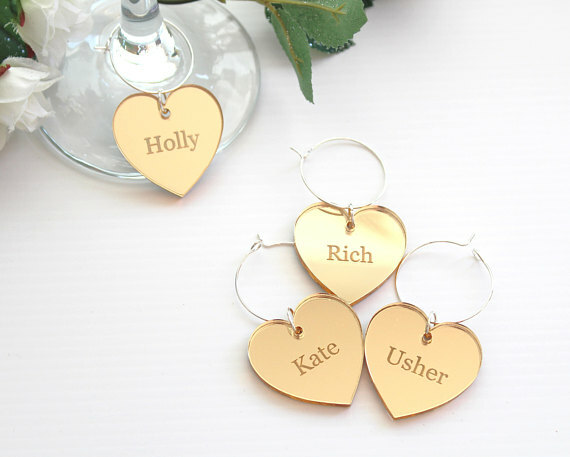 Alternatively you can send us a message will all your details. 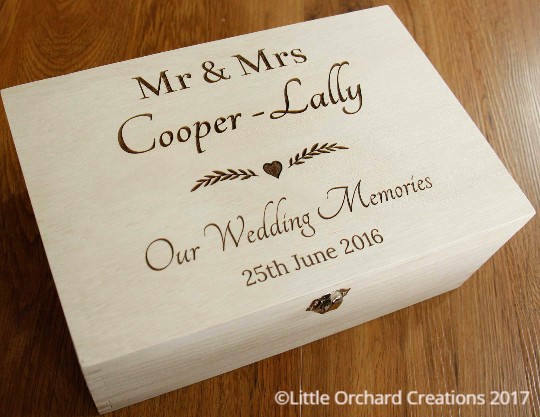 If you require a custom design, please send us a message. 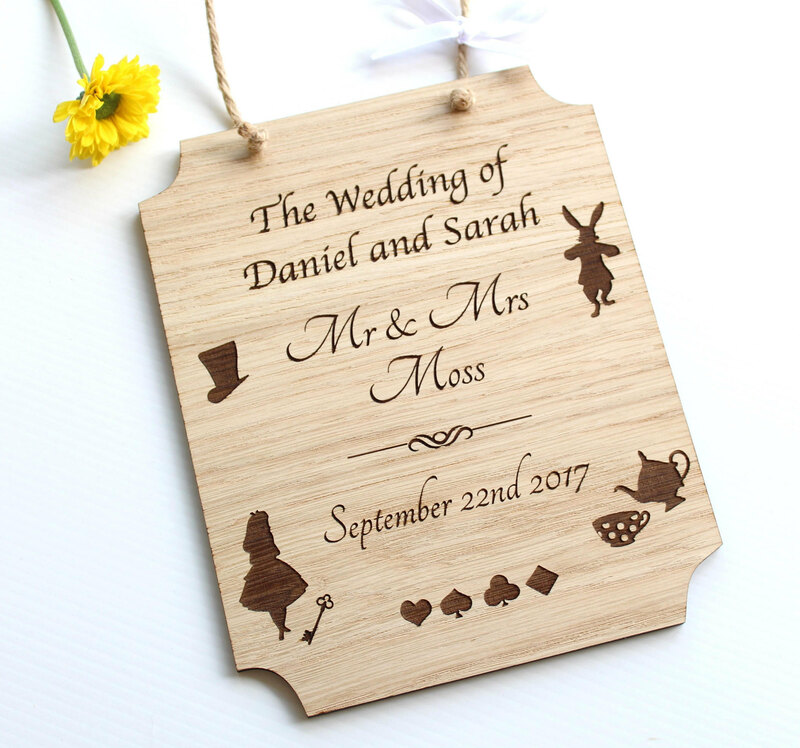 We can change any design to fit your wedding theme! 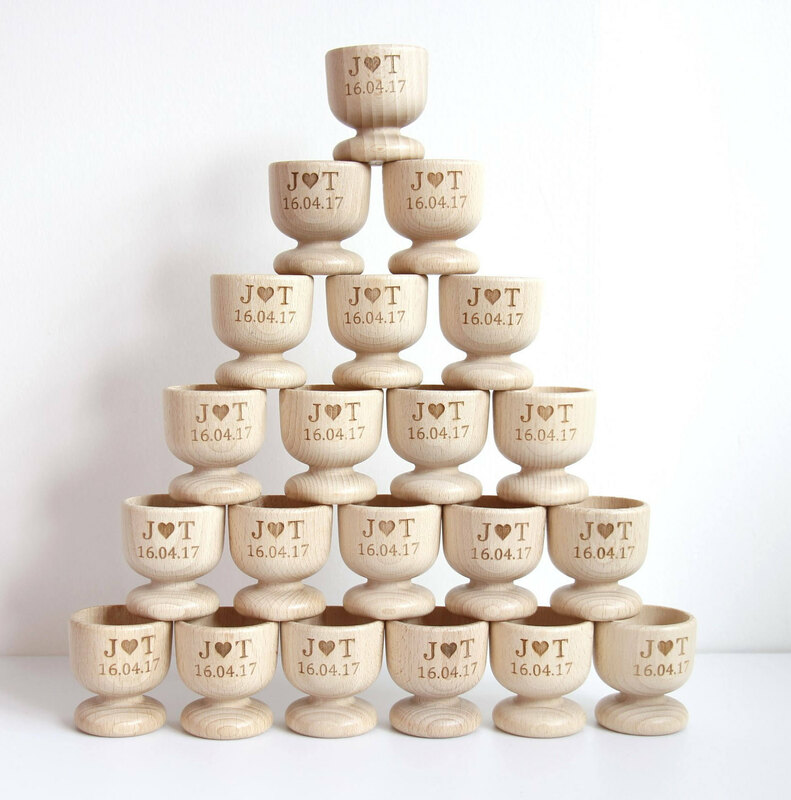 For orders of 150 + egg cups please message us for a discounted rate.